It’s the week of love, everyone’s making googly eyes at one-another, and every activity you can possibly think of can be turned into a romantic one, even watching sports. With the Winter Olympics ongoing, what better way to cozy up with your cutie than watching some hot and sweaty athletes fighting to be on top (of the podium)! 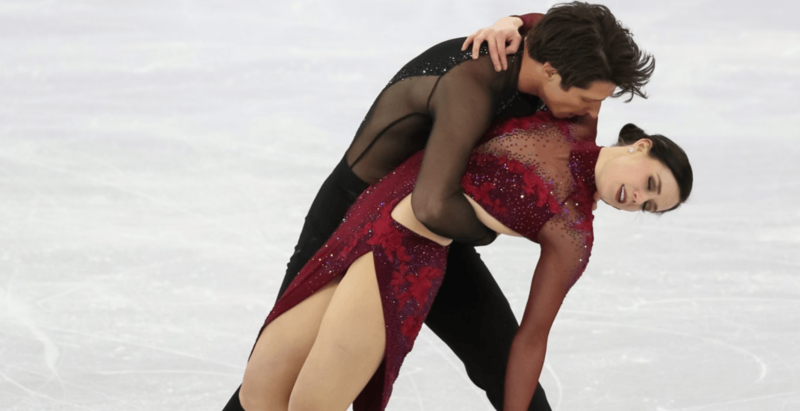 If you want to spend time with your sweetheart and feel the glory of athletes competing for a gold medal at the same time, here are the most romantic Olympic events to check out. Pour some wine, turn on the Olympics ice dancing, and let the music, the outfits, and the passion move you and your darling. It’s the perfect event to get inspired by some romantic moves and try them out yourself. And when you do, make sure you admire your lover’s figure, then grab them by the arm and helicopter them around in the middle of the living room for an unforgettable night. Romance is the first ingredient to an Olympic-level curling performance. Everyone knows that it takes two to hit that sweet spot of the button… on the curling rink, of course! So hurry hard, sweep your partner off their feet, and make sure they never forget this Valentine’s date as you curl up together on the couch to watch the Canadian mixed doubles pairs go for gold. 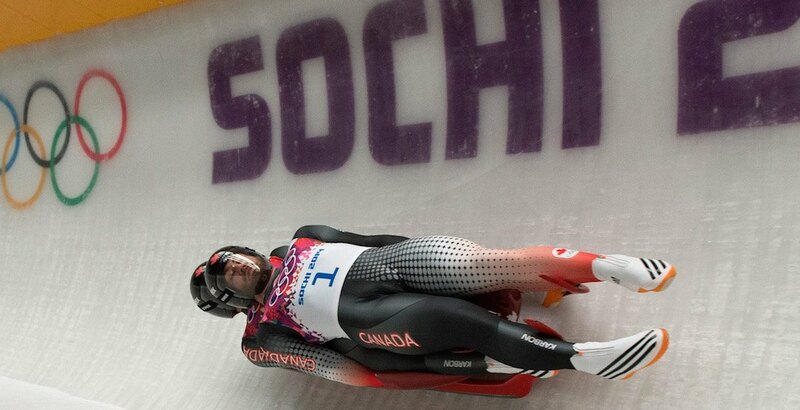 It’s extreme spooning, and when you’re watching it with the one you love, you can’t luge. This is the event where two become one. 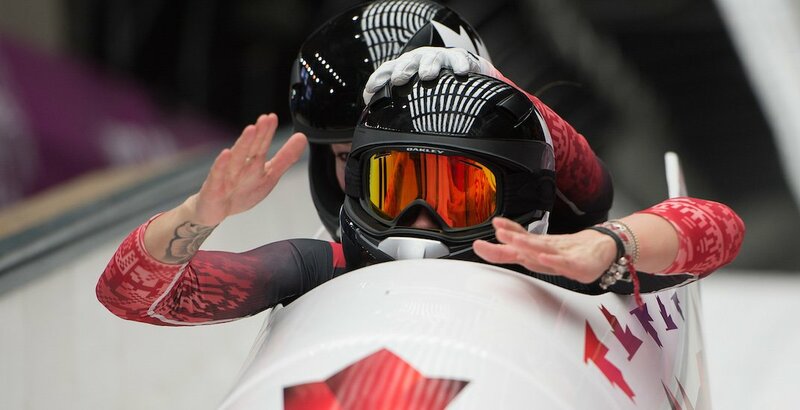 Check out the two-man or two-woman bobsleigh with your sweetie and you might get bobsleigh’d. Make the most of the night by taking it nice and slow. Skiers show their stamina in this event where they must navigate through wild and snowy terrain as long as 50 kilometres. Show your partner you can go the distance when you watch this event together. Biathletes not only have the stamina to ski cross-country, but they’re sharp shooters with just the right aim at the finish line, too, and they’re not afraid to do whatever it takes to get it perfect. Fancy a ménage à trois? Watch this event with all your lovers to make sure you’re speed skating through their mind all night. 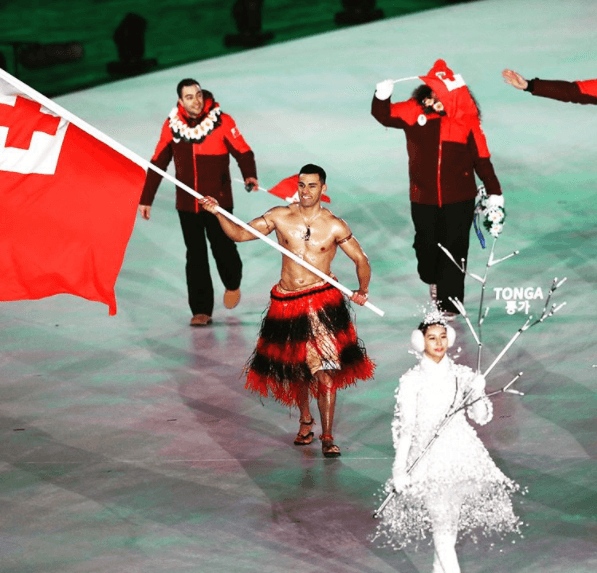 And if you don’t have a Valentine to watch these with, there’s always the oiled-up Tonga flag bearer to set your Olympic daydreams on fire.